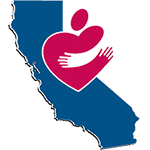 CalCAPA will be conducting a comprehensive needs assessment of California Community Action Agencies in March 2019. CalCAPA engaged the services of Lucy Hernandez to establish a solid foundation for our approach. The initial assessment will consist of an online survey and include questions regarding training and technical assistance, program advocacy, services available through association membership, and more. As a follow-up to the online survey, CalCAPA will be clarifying information through telephone interviews with delegates from within CAA’s. The calls will provide an opportunity for you to add details and propose solutions that CalCAPA can take under advisement. Our goal with the assessment is to ensure that CalCAPA is directly meeting the needs of our members with programs and services that are customized to your needs. Please, provide any additional input you may have on the needs assessment process as we prepare the initial survey.